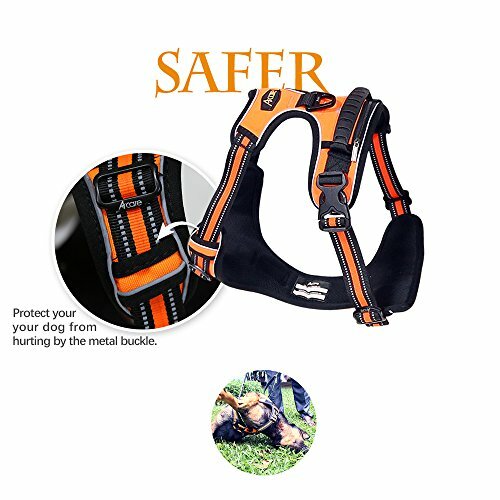 Safe:The back buckle and strap are tested to provided additional security to the fastener strap. 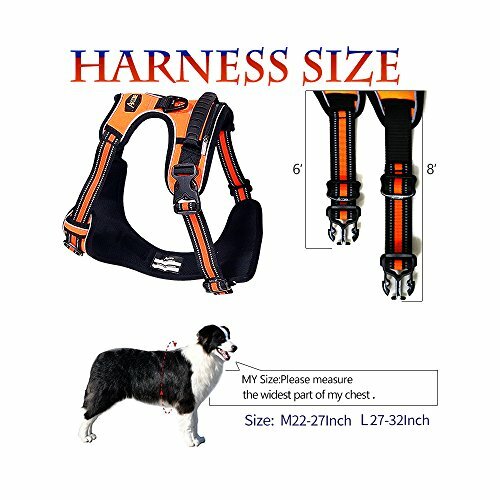 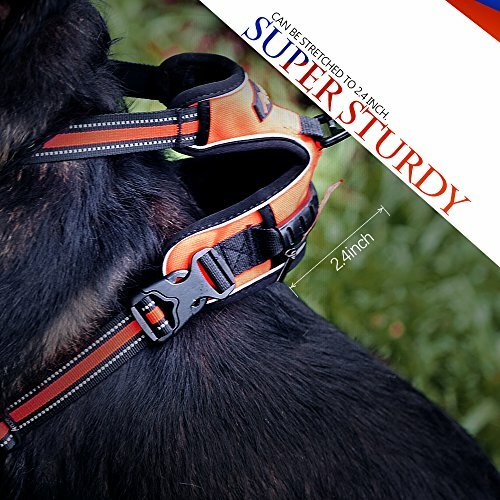 Adjustable Slide Straps --Let you create a customized fit for your dog Easy to Put on and Off-- Quick release buckles makes dog harnes easy to be put on and taken off. 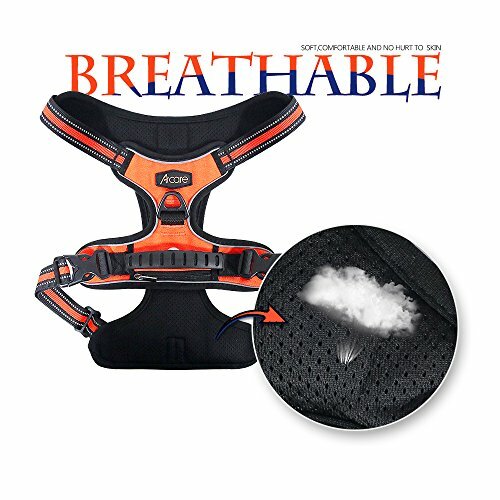 Broad sponge padded chest plate for extra protection and comfort. 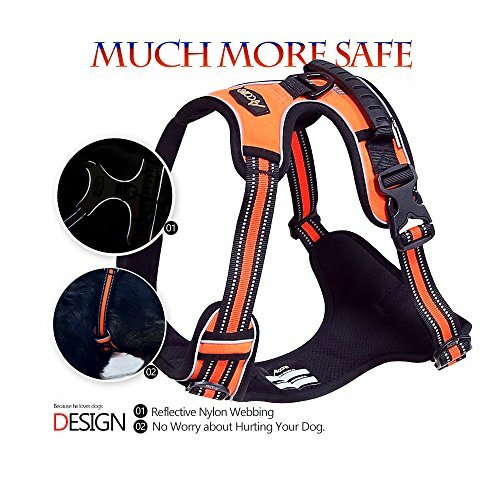 Reflective Nylon Webbing--Refective material for good visibility at night,keep you dog safe at night. 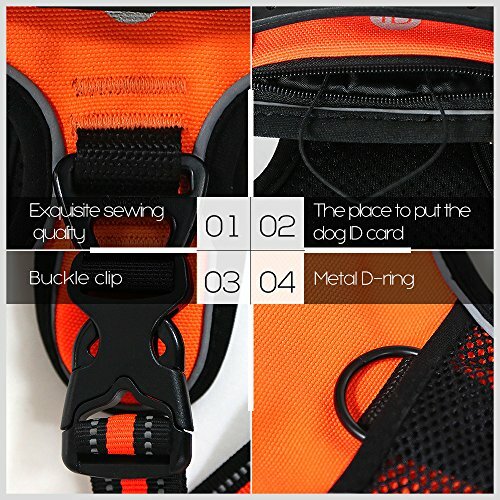 Hight quality Material--Made of 100% polyester makes the pet vest harness breathable and comfortable.